Have you heard of Snapguide? Maybe tried one of the guides? 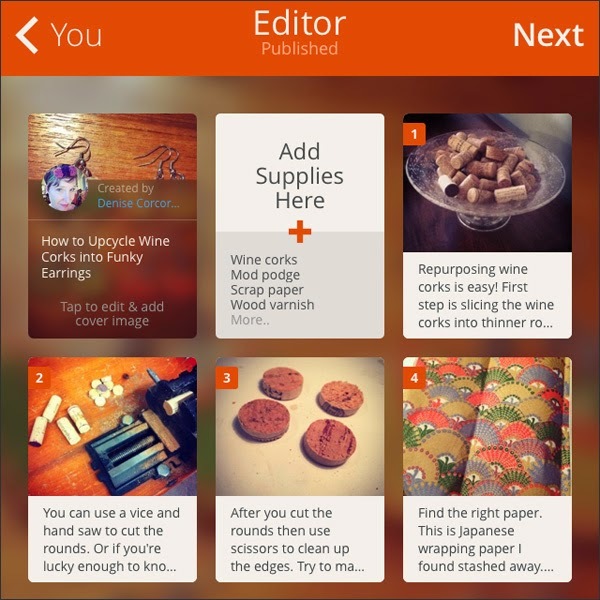 Snapguide provides users the opportunity to create and share step-by-step "how to guides." So kewl! I installed the app awhile ago but didn't try it until last week and now I'm hooked! 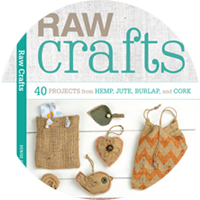 You can find how to's on everything - FAB recipes, crafty stuff, etc. So of course I've been adding a few of my kookie projects. You can find me at www.snapguide.com/denise-corcoran. I now have 12 guides and 37 followers plus a bunch of likes. Yay! 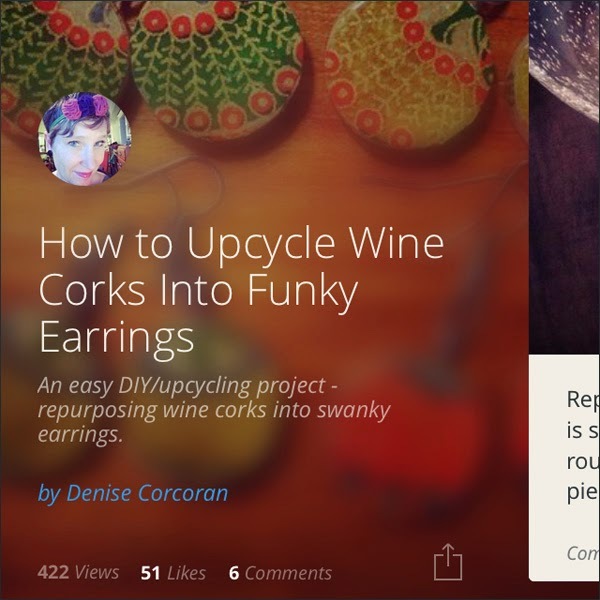 I first added my wine cork jewelry project. You can see how many views, how many likes and how many comments. 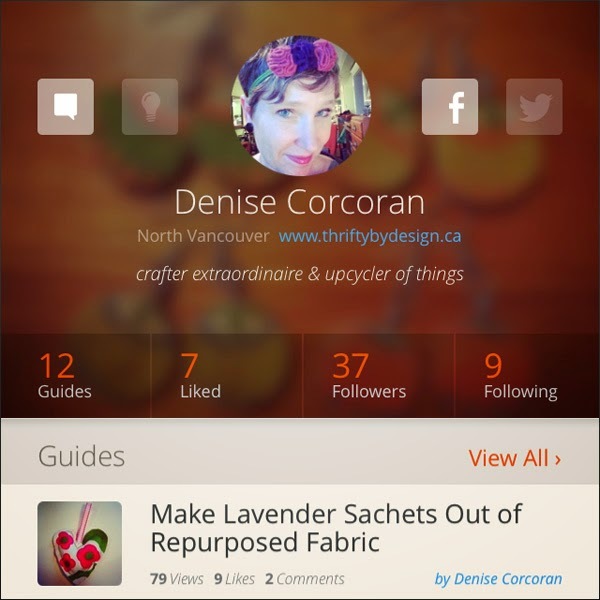 Plus users can rate your guides. The ratings help you tweek your guide and see if people find it helpful or not! 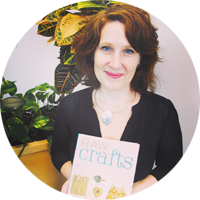 It's easy to create a guide - first you add the title and description then the project supplies and finally photos/text for each step of the project. It's easy peasy if you use the app on your phone. It's so easy that I ended up adding 12 guides the past few days! 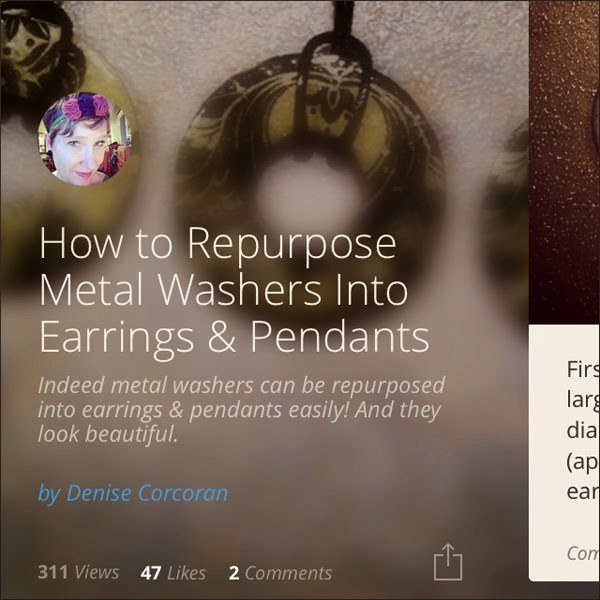 My metal washer jewelry guide seems to be a hit! I've got more guides to add. Why not! Sharing is all about caring... 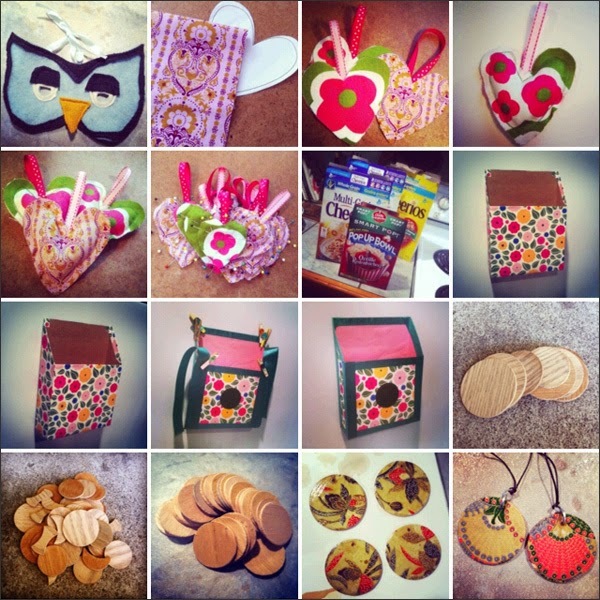 I'm collecting photos for upcoming guides - cereal box organizers, wool sweater masks, etc. 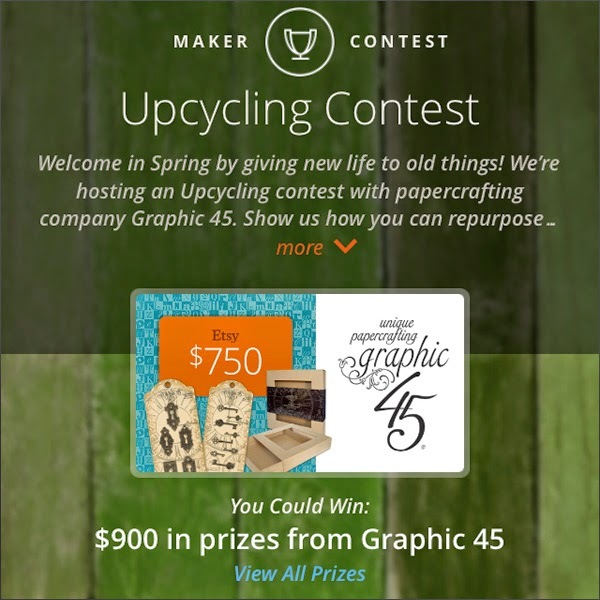 And to make it even better - Snapguide has an upcycling contest happening right now. I've submitted a few of my guides. Why not add your own! The more the merrier! And now to craft and create... Upcycle... It's gonna be a FAB weekend!